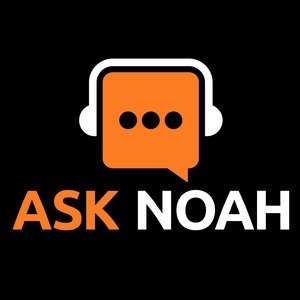 We found 10 episodes of Ask Noah Show with the tag “security”. This week we talk about the open source projects and closed source alternatives that make your job as an IT admin a piece of cake. We talk to Ben who wants to know if he can get Linux on his MacBook, the mumble room joins us & a distro elimination challenge update. This week we ask the question who can you trust in the linux media space? What kind of shows do you want to listen to, and what kind of talent do you look for when you listen to podcasts. We break it down for you, plus your calls in this weeks episode. Episode 50: Is Linux Right For This? Episode 48: Should Ubuntu Use Plasma? This week on The Ask Noah Show we take a hard look at KDE Plasma & ask the question, should Canonical be using Plasma by default on the upcoming 18.04 LTS? This week on the show we give you the latest update on the Intel vulnerabilities, Noah sets the record straight on Linux media personalities that don't use Linux & as always your calls are the center of the show. This week we see how far we can push Linux! Can you use Linux in a professional photo workflow? How about High Resolution Audio? We take your calls & interview industry audio expert Bob Carver.